Whenever disaster hits, your gift will provide immediate relief to families in need. Floods, earthquakes, cyclones, and heat waves—whenever disaster hits, your gift will provide immediate relief to families in need. You will provide essentials like food, water, medicine, blankets, and more to help families survive a natural disaster. 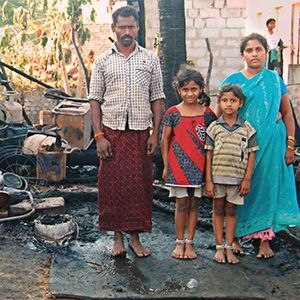 A gift of $25 provides relief aid for one family.